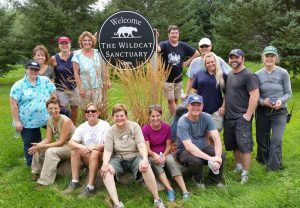 Home » Support TWS » Become a Volunteer at The Wildcat Sanctuary! Thank you for your interest in volunteering your time to help the wild cat residents of The Wildcat Sanctuary! Our volunteer opportunities are as unique as the work we do. Depending on your skills and interest, there are several ways you can contribute your time. Read our volunteer team descriptions below and feel free to contact us with any questions. All interested volunteers must be at least 18 years old and are subject to approval. Help us build habitats for rescued captive wild cats! Crew Days are one-time, on-site volunteer opportunities for groups of 6 – 8 friends, family, or co-workers. On-site construction is hard work that’s not for the faint of heart. Volunteers must be physically able to work outside in all weather conditions, climb ladders up to 12 feet high, and lift up to 50 pounds repeatedly throughout the day. This should not be considered light-duty work. By the end of the day, you’ll be tired, sweaty, and dirty. It’s a grrrrreat work out! All participants must be 18 years or older, attend Safety Training at 9:30 am, and sign a liability release. Scheduling is available on Saturdays from May thru October on a first come, first serve basis. 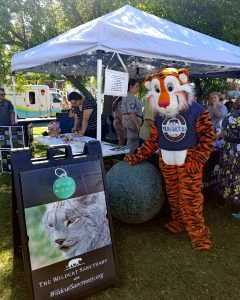 Please email our Outreach Coordinator at outreach@wildcatsanctuary.org to request an application and discuss scheduling. We have large, beautiful gardens at our Sanctuary, and they’re kept looking lovely all summer long thanks to our hard-working Garden Volunteers! 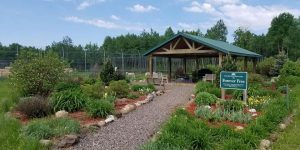 Under the direction of our Lead Volunteer Gardener, Garden Volunteers help weed and maintain five gardens at our Sanctuary in Sandstone, MN. Volunteers must be able to lift up to 20 pounds, bend over repeatedly, and work outside with minimal shade for the majority of the day. Do you excel at customer service? Do you have experience working a Registration table or selling merchandise? You could help us with our fundraising and outreach events! We host several outreach opportunities and two major events throughout the year, some of which are on-site in Sandstone and some are in Minneapolis/St. Paul, MN. Skilled volunteers are needed for on-going and project-based needs. Check back here often! We update this page with new opportunities as our business needs demand. Jungle Boogie is our annual black-tie gala. Every year, we include a fun wine game during cocktail hour. We need 75-100 bottles of wine donated each year to make it successful. This volunteer would lead up efforts to collect bottles or cases of wine from generous individuals, distributors, wineries, or other creative sources. Duties include contacting potential donors, sending thank you letters acknowledging the donation, maintain a contact list of wine donors, and working with the Outreach Coordinator on all other logistics. Help make tiger toys! This volunteer position is responsible for creating “marketing” enrichment for the cats. Marketing enrichment includes fun, bright-colored decorated boxes, signs, or other cardboard sculpture. The volunteer is responsible for gathering TWS approved supplies, creating and delivering the enrichment item according to a predetermined schedule. 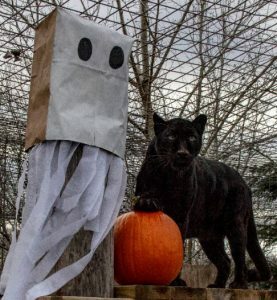 Marketing enrichment items will celebrate holidays, promote fundraiser, and enrich the lives of the wild cat residents of TWS! Self-motivated, dead-line sensitive volunteer graphic designer wanted! Under the direction of the Executive Director and the Marketing team, you will help design graphics that are brand-aligned and delivered in layered files. This is a Volunteer-from-Home opportunity for the right person. Full description and link to application will be posted here when it becomes available. Seeking skilled carpenters to build large-scale perch systems and catwalks for our wildcat residents. The ability to follow building plans, use power tools, and follow all safety protocol is imperative.